If you're still pouring over the specs of Nikon's current DSLR consumer models, then you've managed to dally just long enough to snag a tidy cashback offer. At least, that's if you're in the UK and can make your purchase before the end of May. Nikon has confirmed to us that this is a local promotion, but we're on the case to see if a similar deal is coming to the States. In the meantime, the Brit-only discounts range from £30 ($50) on the D3100, £50 ($80) on the flip-screen D5100 (shown above) and £80 ($130) on the D7000 when purchased body-only, or slightly more if you pick up a Nikkor lens at the same time. On the other hand, if you're casting about more generally for a kit upgrade, and if you can bear to stall just a little longer, then this could potentially hint at new models coming soon -- although it's not the first cashback offer to hit this range. You'll find further details after the break. 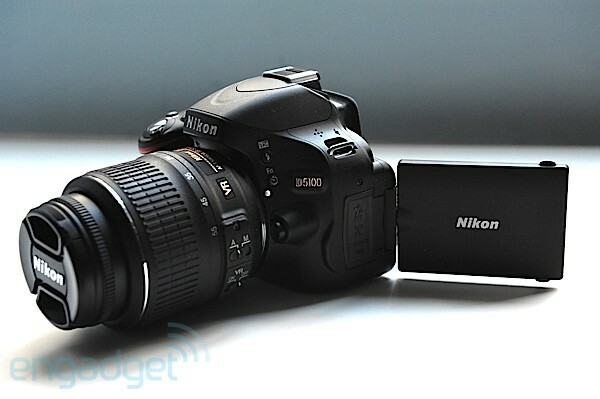 Nikon offers cashback on D3100, D5100 and D7000 in the UK originally appeared on Engadget on Thu, 29 Mar 2012 03:22:00 EDT. Please see our terms for use of feeds.